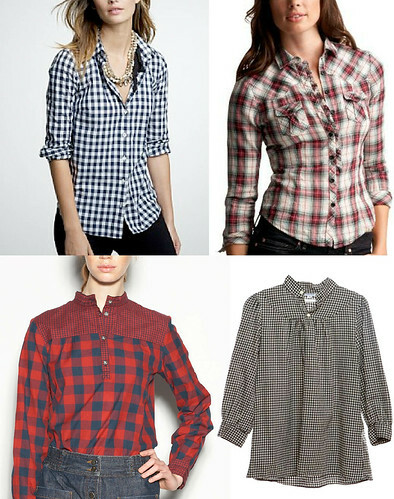 I have my eye on these basic button down shirts. They’re so comfortable and stylish at the same time. I’d pair each with a fitted pair of dark blue jeans and super feminine jewelry. holy crap! totally in love with the bottom two. not surprising. those are my two dream brands. I totally agree Chelsea….having a full wardrobe by APC or Steven Alan would be amazing. I’d always feel both comfy and pulled together. It’s not as fab as the bottom two but I picked up the Gap one. i am in serious need of some plaid in my life. these choices are perfect.